My new project is my version of the Music Bag from the Purl Bee blog. I decided this year to try and make my school bag rather than spend money on one. In these economic times, every little bit helps. So I’ve picked my color scheme and cut out most of the pieces. Hopefully this will be stiff enough to hold up the abuse it will take from library books. The outer fabric is on the left, a cotton linen blend by Lecien called French Antique Sucre Japanese fabric on parchment (according to Lucky Kaeru Fabric, where I bought it). I needed a yard but only had half a yard, so my outer bottom pieces are 5 1/4″ wide instead of 6 1/2″ wide. My straps will also be different. But I really wanted to use this fabric, so I was happy to improvise. 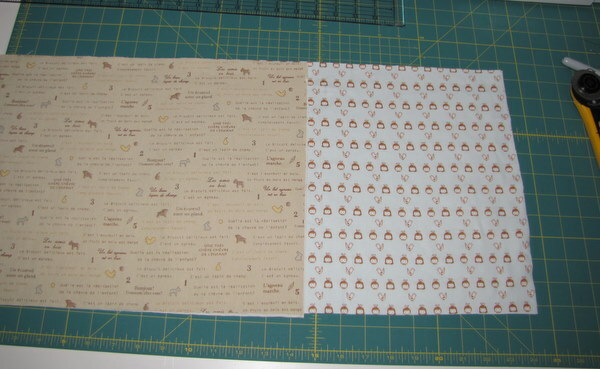 The second fabric will be the lining, and that’s a print that won Spoonflower’s weekly competition a while back. I vote most weeks and love the prints, but this was the only one I absolutely had to buy. And I bought 2 yards. It’s called Birdie Friends by Craft Pudding. 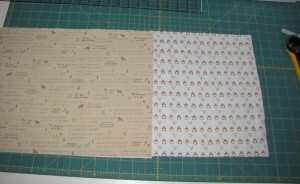 I’m making the binding and straps out of a chocolate brown fabric with giant white polka dots. Love it!